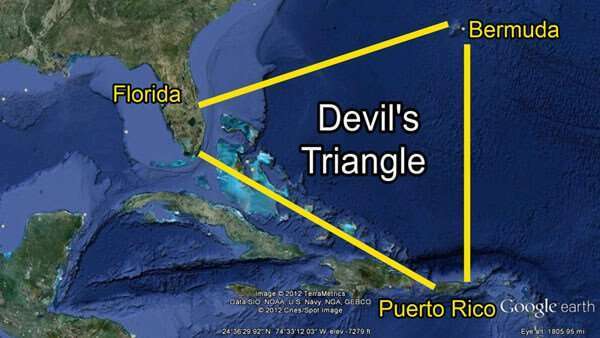 The Bermuda Triangle, sometimes known as the “Devil’s Triangle”, is a triangular area of the north-western Atlantic Ocean bounded by Bermuda, Puerto Rico and a point near Melbourne, Florida, where famously numerous ships and aircraft have mysteriously disappeared throughout the ages. 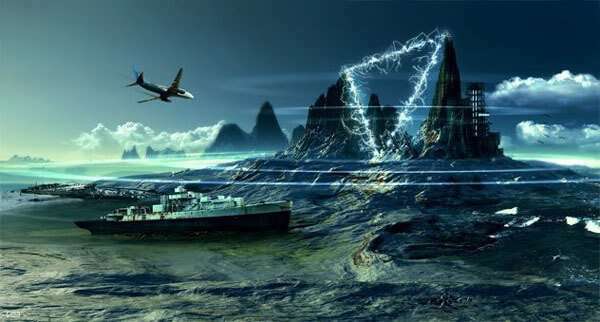 Since records began in 1851, it is estimated that an amazing 8,127 people have been lost in the Bermuda Triangle. However, perhaps the most intriguing and famous disappearance of all, occurred just after WWII on December 5, 1945, when an entire squadron of aircraft vanished without trace and no clue as to what happened to them. Of course, this was the infamous Flight 19, which, more than any other case, brought the triangle into popular consciousness, sparking all kinds of explanations. 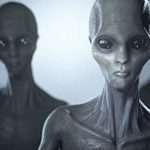 The strangest and most interesting being the theory that they were abducted by aliens who have a base somewhere in the triangle, interesting because the alien/UFO theory was popularized by Stephen Spielberg in his 1977 film Close Encounters of the Third Kind. While there could be a rational explanation for the disappearance of Flight 19, it is worth remembering that Lt. Charles Taylor was exonerated in 1947 by the Board for Correction of Naval Records, at the request of his mother, in regard for “responsibility for loss of lives and naval aircraft” and that the conclusion of the US Navy’s report was changed to “cause unknown”. Whatever Columbus and his crew saw that historic night is probably impossible to know for sure now. In that limited sense, at least, the odd light is a true UFO in that it will probably always be unidentified. Perhaps more interesting, though, are the bizarre compass readings Columbus also recorded in the triangle. 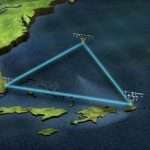 Today, the triangle is supposedly one of only two places in the world, the other being the Dragon’s Sea in the Pacific, in which there is an unusual level of magnetic interference that can adversely affect compass readings. 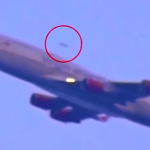 Whether paranormal or not, this magnetic interference is definitely interesting. 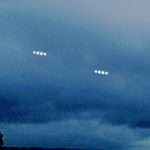 Many have speculated that UFOs may be using some form of electromagnetic propulsion. 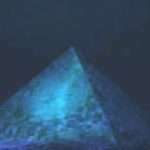 Perhaps there could be a link of some kind between the magnetic interference, UFO sightings and the mysterious disappearances in the triangle? Doctor Who fans will remember “The Sea Devils” a classic 1972 Jon Pertwee story written by Malcolm Hulke, the plot of which is very reminiscent of the triangle mystery. The story involves the Third Doctor and his companion Joe Grant investigating the mysterious disappearance of ships off the English South Coast and the discovery that an ancient race of amphibious reptiles, operating from a deep underwater base are responsible. Science fiction is filled with interesting storylines that parallel mysteries like the Bermuda Triangle, but is it possible that there really could be another civilization, of any kind, sharing the planet with us, living beneath the waves in seclusion? Amazingly, it is true that we actually know more about the surface of the Moon than we do about the bottom of our own oceans. 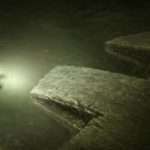 In theory, at least, it is possible that anything could be down there hidden beneath the depths. 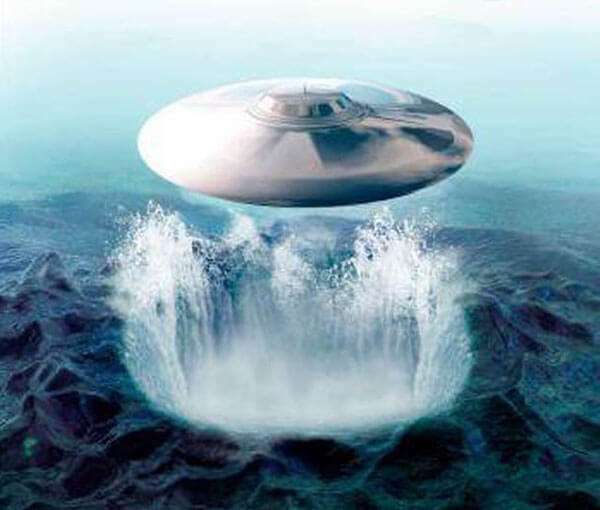 What more, making things more interesting, about half of all UFO sightings are said to take place near large bodies of water. 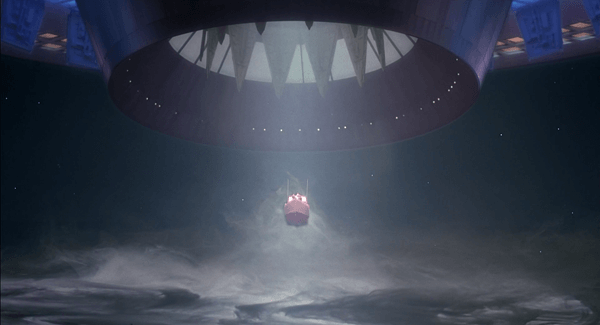 If extraterrestrials are really coming to Earth from another solar system, it would probably make sense that they would establish such bases to save them continually making the long voyage back and forth home. Also, the reference to the Caribbean is intriguing because that is where part of the Bermuda Triangle is located. However, whether from this world or another, where better to build an impenetrable, covert base than beneath the oceans of the world. 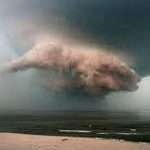 The Bermuda Triangle, in particular, might also make a good location for such a base because of the volcanic activity there, which could be used to generate geothermal electricity as a power source. 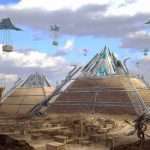 The biggest problem with the alien base theory, of course, is like the wreckage of the missing planes and ships, why hasn’t it been found by the many detailed searches inside the triangle? 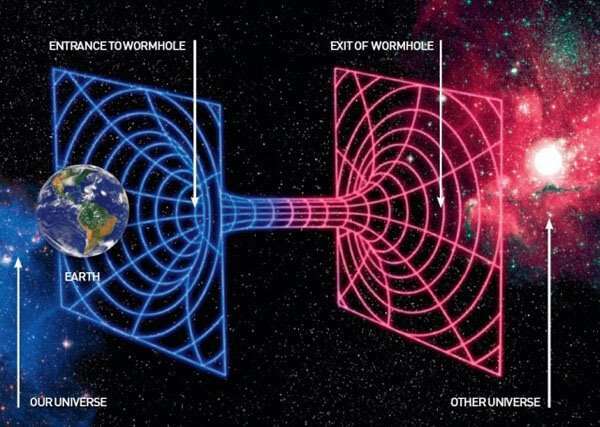 Perhaps instead of a base, the Bermuda Triangle is the location of a “wormhole” to another world. In his book another possibility Berlitz considered was that there could be a “vortex” or “portal” somewhere in the triangle which aliens from another planet or dimension are using as a bridge or gateway to Earth. An outrageous theory back in 1974 when The Bermuda Triangle was first published. 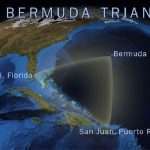 Perhaps the disappearance of Flight 19 and other planes and ships inside Bermuda Triangle can be explained away by more mundane explanations, such as intense weather conditions and human error, but until we more fully explore the bottom of the world’s oceans we have no way of knowing for sure what could be down there.